Fight off hordes of monstrous mutants created from a strange cataclysmic event in the new tower defense game, Prime World: Defenders. Join a group of exile treasure hunters who have ventured into the capital of an ancient empire, vast with mystery and danger. 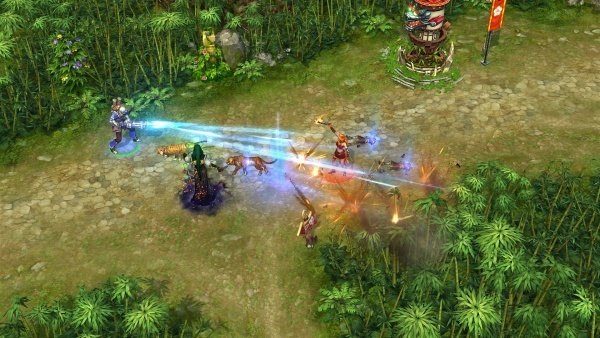 Prime World: Defenders merges classic tower defense gameplay with collectible card mechanic. Your towers, your spells, your traps – all are magic cards, that you can collect and upgrade. You’ll have to develop your own strategy, because you’ll get your random set of cards after each battle. Freeze, burn, poison, explode and slash countless enemies that will try to stop you from gathering artifacts of old kingdom. Choose your cards carefully, play them strategically and expect some heavy resistance along the way – from small and almost harmless mutated fungi to powerful giant goblins and nagas. Trainer for the adventure game Prime World – Defenders, you can use it to activate these essential cheat Codes: Add Prime, Add Experience Points, Add Money, Add a Star. Note: This cheat tool is for the original version v1.0 of the game Prime World: Defenders.